Let’s be honest, ants are an all too common household pest than many of us encounter at some point or another. With that being said, applying the best tips and treatments for ants depends on the specific type of ant infestation. There are two types of ant problems that you can face, one where your ants live outside but forage inside, and the other, where ants have a nest inside of your home. Luckily we live in the 21st century, so you can identify and inspect the type of ants disturbing the peace of your home using a magnifying glass and a little help from the internet. Along with this, we’ve created a list of some tips to help treat and/or prevent ants both inside your home and out. The sole reason these types of ants travel inside your home is to look for food. In fact, only some ant species reside or nest inside of people’s homes. Using caulk to seal cracks and crevices will seal the passageways into your home. This method will also prevent other pests from entering your home. However, ants are quite industrious! You may not be able to successfully close up their entry points, but will notice some improvements. Use detergents to clean around entry points to remove chemical trail pheromone, and then spray a non-repellent residual insecticide around the perimeter and entry points. Ants want a reliable food source, but they don’t stop there…they also want to build their colony as close as possible to that said food source. Furthermore, indoor colonization is not restricted by seasons; it happens all year round especially in warm climates. Pavement ants, Thief ants, Carpenter ants and pharaoh ants prefer to build their colony inside the home, and such ants infest food products. The best treatment for ants inside of your home will be ant baits. This is something that is safe to use around children and pets, and is highly effective. Ant baits come in the form of granules, gels, and stations. The active ingredient in ant baits may be protein, grease, and/or sugar. They’re made this way in order to attract a variety of ant species and target their dietary needs. Carpenter ants are usually seen in the evening when they are in search of wood, both in and outside the home. Moreover, observing ants at night helps you to know where to spray or bait. The nest itself is the major problem – if you can locate the nest and treat it, you have successfully gotten rid of carpenter ants in your home and environment. It is recommended to use a non-repellent insecticide to reduce the risk. Use a non-repellent insecticide aerosol, such as Phantom Aerosol, Spectre PS Aerosol, or Alpine Aerosol. Using a non-repellent aerosol prevents the ants from detecting and avoiding the sprayed area, and it is more effective than repellent aerosols. 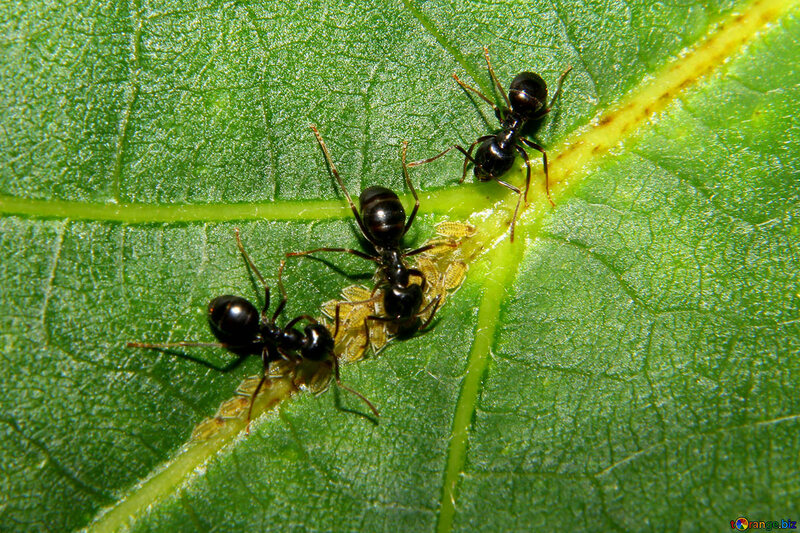 A typical ant spray will kill a few ants and scatter the rest of the ants, which may trigger more problems. Seal or paint exposed wood construction before it gets wet. Trim all trees and bushes to avoid letting them touch the house. Replace water-damaged and ant-infested wooden parts of the structure as soon as possible. Fix leaky roofs and plumbing – this will also prevent termites from entering your home. Remove dead stumps on your property and store firewood away from the structure and off the ground. With all of these tips and tricks for curing your home of ants, you may feel that it’s a guaranteed thing that once you implement these strategies they will be gone for good. That is not always the case, and what may seem like a small ant problem to the naked eye could actually be a major infestation. It can be extremely difficult to assess your ant problem with your own evaluation, and if they aren’t seeming to reduce in quantity after DIY remedies, the problem is probably beyond your control. No need to panic yet though, Go-Forth Pest Control is here! If what we’ve said happens to be the case for you and your home, Go-Forth Pest Control is the solution that can help. Go-Forth can not only treat your home completely, but your ants are sure to stay away with our powerful and effective services. With reliable treatment that people have counted on since the year of 1959, the Go-Forth team has your best interest in mind and will treat you like family. We answer any and all questions, and put your pest worries at ease for good! For the safest, and most effective treatment in all of North and South Carolina, call us today!